Could a bump on the back of your head offer a clue to your inner personality? This idea was a central theme in the pseudoscience known as phrenology, a discipline that involved linking bumps on a person's head to certain aspects of the subject's personality and character. Phrenology was developed by a German physician named Franz Joseph Gall in the late 1700s. Gall noticed that the cerebral cortex of humans was much larger than that of animals, which he believed was what made humans intellectually superior. Eventually, he became convinced that the physical features of the cortex could also be seen in the shape and size of the skull. After examining the heads of a number of young pickpockets, Gall found that many of them had bumps on their skull just above their ears. He then suggested that the bumps, indentations and shape of the skull could be linked to different aspects of a person's personality, character and abilities. With the young pickpockets, for example, he suggested that the bump behind their ears was associated with a tendency to steal, lie or deceive. Gall sought support for his ideas by measuring the skulls of people in prisons, hospitals and asylums, especially people with odd-shaped heads. Based on what he found, Gall developed a system of 27 different "faculties" that he believed could be directly diagnosed by measuring specific parts of the head. He created a chart that showed which areas of the skull were associated with specific traits or characteristics. However, Gall's methods lacked scientific rigor and he chose to simply ignore any evidence that contradicted his ideas. 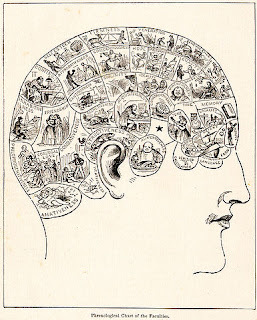 Despite this, phrenology became increasingly popular from the 1800s well into the early 1900s. Gall's ideas gained many followers, but he began to attract criticism from scientists as well as from other groups. The Catholic Church believed that his suggestion of a "religion organ" was atheistic, and in 1802 his publications were added to the Index of Prohibited Books. 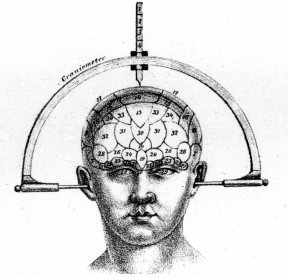 After Gall's death in 1828, several of his followers continued to develop phrenology, taking it from Gall's attempts at science into something of a cult. While phrenology has long been identified as a pseudoscience, it did help make important contributions to the field of neurology. Thanks to the focus on phrenology, researchers became more interested in the concept of cortical localization, an idea that suggested that certain mental functions were localized in particular areas of the brain. While Gall and other phrenologists incorrectly believed that bumps on the head corresponded to personality and abilities, they were correct in believing that different mental abilities were associated with different areas of the brain. Modern research methods allow scientists to use sophisticated tools such as MRI and PET scans to learn more about the localization of function within the brain.